As one of the world's top entertainment destinations, Orlando has its fair share of drinking establishments. Whether you are in Downtown Orlando, by the attractions on International Drive or anywhere in between, you can always find a great place to spend your time. Happy hour is something that these watering holes take seriously and there is no shortage of great specials to take advantage of. 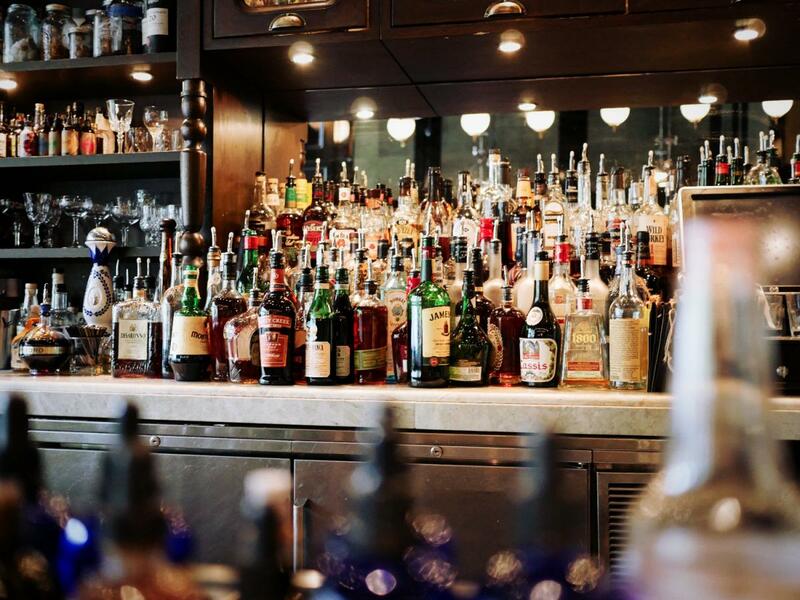 Here is our list of the best happy hours in Orlando. The three-story Church Street Bars complex is home to Chillers | Cahoots | Latitudes. All three of these bars have their own unique flare and offer up some of the best specials in downtown. Friday happy hour is particularly lively with all three venues offering up 3-4-1 drinks beginning at 4:30 p.m.
Ember is a fun indoor-outdoor bar that will make you feel like you have walked into a party somewhere in the Mediterranean. Humpday is particularly enjoyable at this spot, with their Winedown Wednesday special offering up AYCD beverages that are $15 for ladies and $20 for guys. They also have a 3-4-1 Friday happy hour from 4-7:30 p.m. on premium liquors, bottled beers and select wines. With seven distinct drinking venues, Wall Street Plaza is one of Orlando's go-to places for nightlife. Wall Street Cantina has happy hour from 3-7 every weekday except for Tuesday and their specials include half-price appetizers, $3 Mexican beers and $4 shots of Margaritaville tequila. Hooch is another popular spot in the plaza and they have happy hour Monday-Friday 4-7 p.m. SHOTS is a newcomer to the downtown scene and, naturally, they are best known for their unique menu of shots. They have an impressive happy hour too. SHOTS has a half-off drink menu Tuesday-Saturday from 5-9 p.m.
Graffiti Junktion has several locations around Orlando and some of the best burgers in town. The Church St. restaurant is a great place to stop before an event at the Amway Center. Happy hour runs 4-7 p.m. on weekdays with $1 off draft beers, $3 house wines and $4 well drinks and margaritas. Elixir is a bar that also prides itself on serving excellent food. They have an executive happy hour Fridays 5-9 p.m. with 70 cent wings and $2 off flatbreads. Drink specials include $3 Stella beer, $5 Jameson and $5 Tito's Vodka. World of Beer is a favorite of many and this location, with its views of Lake Eola, has to be one of the better ones around. Unlike some of the other WOBs, this location has a full menu and their happy hour incorporates $5 shareables. They also have $3 and $4 select draughts and $6 wines weekdays from 3-7 p.m.
Shari has been a Thornton Park staple for 15 years and they have an incredible happy hour for sushi lovers. They have a variety of roles priced at $5-$6. Happy hour includes $5 beer, wine, and spirits. The hours for happy hour at Shari are 4-7 p.m. Monday-Friday, 3-7 p.m. Saturday and 2-7 p.m. Sunday. The Stubborn Mule is a well-regarded restaurant specializing in new American cuisine. They have happy hour Tuesday-Sunday from 4-7 p.m. The drink deals they offer are $5 beers, $5 wines by the glass, $6 signature cocktails and $6 signature mules. Stubborn Mule has a $5 appetizers menu as well with bruschetta, soft pretzel rolls and garlic parmesan edamame. Mesa21 does a great job with their authentic Mexican cuisine. They also have a beautiful restaurant that overlooks Lake Ivanhoe. Weekday happy hour runs 3-7 p.m. and includes $3 beers, $2 off all cocktails and $5 select wines. The Hammered Lamb is located across the street from Mesa21 and it is busy almost any time of the day. Their festive outdoor bar and dining area is always a good place to spend some time. They have one of the best Monday-Friday in town, with $2.25 domestic bottles, $3.25 call liquors and $4 select wines from 4-7 p.m.
RusTeak has a new American menu and they are known for featuring over 200 wines from all over the world. They have won the Wine Spectator Award of Excellence four years running. RusTeak's happy hour runs Monday-Saturday 4-7 pm. and features $5 wines by glass, $5 beers, $6 signature cocktails and $5 select appetizers. K Restaurant earns high marks for their menu that is made up of locally-sourced ingredients. Take in their excellent happy hour Monday-Friday from 5-7 p.m. at the K Bar, on the restaurant porch or in their garden patio. They offer discounted food items, $4 pints, $5 wines and $6 cocktails. This offshoot of the popular chain is located near the I-Drive 360 attraction. They have a weekday happy hour with $3.50 draft beers, $4.50 wines and $5.50 signature margaritas from 4-7 p.m. Those who are hungry can also take advantage of half-off select appetizers and flatbreads. The Pub greets customers at the front of Pointe Orlando and undoubtedly keeps some from ever walking any farther into the entertainment complex. The British pub experience is alive and well at this establishment. Happy hour is 4-7 p.m. Monday-Friday with $5 imperial pints, $4 well cocktails, $20 house wine bottles and $5 shareables. Enjoy your time sampling some of the best happy hours Orlando has to offer. To keep up-to-date with more information about Orlando's nightlife, subscribe to 407area.